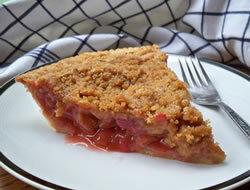 A sweetened rhubarb pie with a crumbly topping providing a sweet crunchy texture. 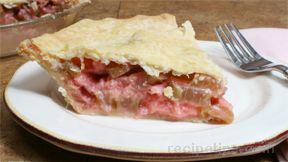 Mix rhubarb, sugar, egg, 2 tbsp flour, and vanilla. Mix 3/4 cup flour, brown sugar and butter until crumbly. Sprinkle on top and bake at 425° F for 30-40 minutes. 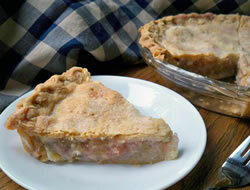 "I wanted to try a different Rhubarb Pie recipe so I tried this recipe. 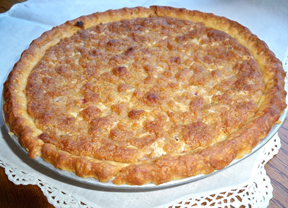 It was very good but I like my regular double crusted Rhubarb Cream Pie a little better."